Starring Ewan McGregor, Hayley Atwell, Bronte Carmichael, Mark Gatiss, Oliver Ford Davies, Ronke Adekoluejo, Adrian Scarborough, Roger Ashton-Griffiths, Ken Nwosu, John Dagleish, Amanda Lawrence, Orton O’Brien, Paul Chahidi, and featuring the voice talents of Jim Cummings, Brad Garrett, Toby Jones, Nick Mohammed, Peter Capaldi, Sophie Okonedo, and Sara Sheen. Goodbyes are tough, especially when it comes to Christopher Robin saying goodbye to the 100 Acre Wood and his cute pals that inhabit it, from the heavyset honey addicted Winnie the Pooh to the bouncy bouncy Tigger to the self-deprecating Eeyore (who is a hell of a lot more relatable as an adult) and the rest of the crew you’re probably already familiar with. Entering his teenage years, the parents of Christopher Robin decide that playtime is over and instill a workmanlike attitude into his mind, also enlisting him into boarding school. Now, I don’t want to go that far, but the opening credits to Disney’s live-action spin on the classic adventures is certainly comparable to the opening of one of their recent standouts, Up, and may even be just as sad. We roll through tragic event after tragic event until settling into Christopher Robin’s (a greatly stressed performance from Ewan McGregor that also transforms into playful fun once reuniting with his friends) adult married with a daughter lifestyle, where coming into work and putting in unreasonable hours is what matters most and fun is all but as forgotten as his magical friends. 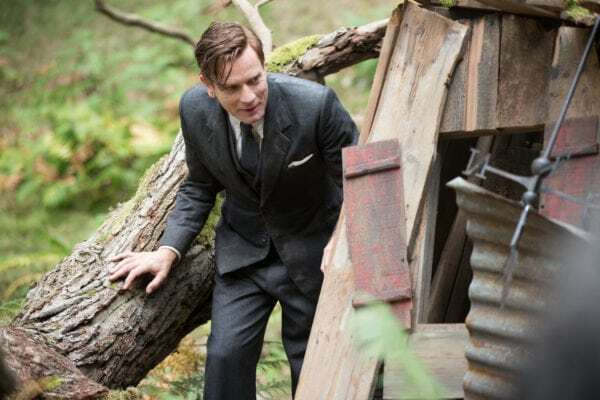 The three have plans to visit his childhood home over the weekend until duties come calling once more (Christopher Robin works in the luggage department and must find a way to cut costs and raise sales, otherwise he will be tasked with making some unfortunate cuts to the staff). His wife Evelyn (Haley Atwell) is not surprised; she didn’t even bother to pack his belongings for the vacation. Naturally, his daughter Madeline (played by Brontë Carmichael putting in a fairly respectable performance for a young child, able to relay all the necessary conflicting emotions she must be feeling dealing with a workaholic father that loves her deep down but simply is unable to set being a provider aside to focus on his family first) is upset but understanding. I don’t want to give away much of the plot, but no, Christopher Robin has not handed down his childhood friends over to his daughter Madeline, instead, drilling work ethic into her at a young age. Perhaps it’s fate, luck of the draw, or convenient writing, but one day Winnie the Pooh decides to venture through a hole in the tree that leads him to Christopher Robin and London. Don’t ask questions, just roll with it. 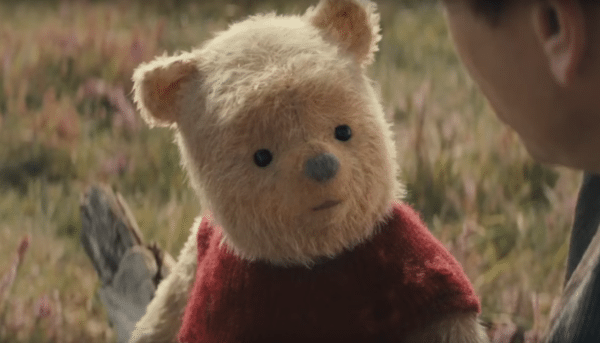 What ensues is some hilarious fish out of water commentary from Pooh bear as Christopher Robin, unhappy to see him initially, tries to get the lovable redshirted guy home, and also an adventure sending him back to his former playground. 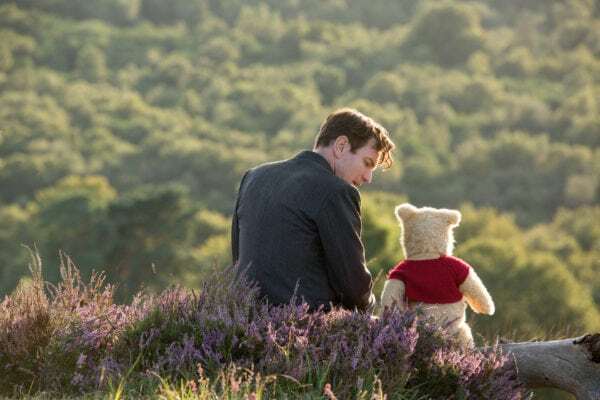 Ultimately, from a nostalgic point of view, Christopher Robin contains everything viewers are going to want to see; all of your favorite songs are here (both sung and in catchy orchestral format with a closing credits song that is sure to garner an Oscar nomination), the characters behave how you remember them with Jim Cummings still having another great Winnie the Pooh performance in him, the humor is spot on, and the overall experience is as charming as one might expect it should be. 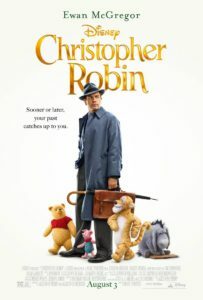 Directed by Marc Forster from a script containing quite a few cooks in the kitchen, with notable names such as Alex Ross Perry (the heavily identifiable downbeat adult portions are most likely result of him, with the overall direction able to balance the two tones of gloomy and upbeat whimsical happy times), Tom McCarthy, and Allison Schroeder, Christopher Robin intriguingly opts for a more washed out color depiction of the beloved critters. Surprisingly, this is not intentional implying that they have aged or faded from not being around Christopher, as they look the same way during the going away party. With that said, the CGI is actually incredible, blending animated effects with stuffed animal aesthetics that just looks right. However, it just feels like there should be more color and more pop to the visuals in general. It’s a film for all ages with some very worthy messages for adults regarding always making time for family in spite of work and never letting go of that childlike sense of wonder and desire for joyful fulfillment, but the target demographic of children probably deserve more eye candy than the pastures of the 100 Acre Wood. Also, towards the end of the movie, there is a car chase sequence involving the entire gang, which has become a recurring theme in family-friendly affairs and is kind of getting stale by now. 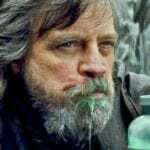 There could have been a little more creativity in some of the films set pieces, and less predictability in how the plot will unfold save for a few details here and there. Although, one inspired sequence does see Christopher Robin taking on a mythical heffalump that says something interesting about his character. Outside of the opening, the film pretty much plays it safe narratively which is a bit of a shame because there was an opportunity to go all out and do something very different and mature with the story being told. Still, for the most part, it works and the point is gotten across. Someone would have to be coldhearted to not smile watching Christopher Robin, whether it’s from tapping your feet to the classic songs or soaking in the valuable life lessons the film offers. Honestly, pretty much everything Eeyore says is worth the price of admission alone; Brad Garrett kills it. Past that, though, is a heartwarming story of friendship that’s about not drifting apart from those most important in our lives. It may not reach the emotional heights that it should considering the premise, but when all is said and done you will be glad to have spent 90 minutes or so with these absolutely timelessly charming characters.